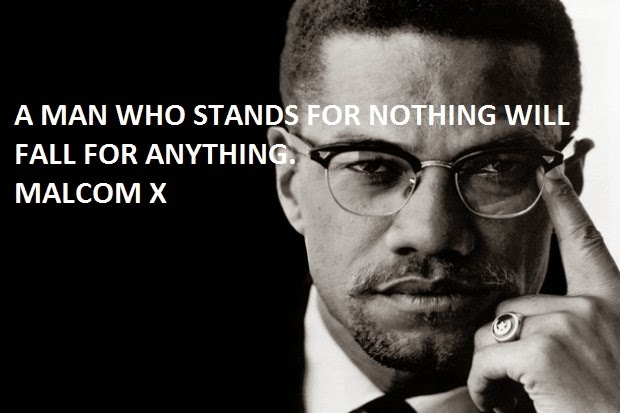 Malcolm X, was an African-American Muslim minister and a human rights activist, known for his courageous advocacy for the rights of blacks in white's dominated America. He has been known as one of the most influtential Black American in the history. I don't even call it violence when it's in self defense; I call it intelligence. I believe in human beings, and that all human beings should be respected as such, regardless of their color. Envy blinds men and makes it impossible for them to think clearly. I have more respect for a man who lets me know where he stands, even if he's wrong. Than the one who comes up like an angel and is nothing but a devil. I believe in the brotherhood of man, all men, but I don't believe in brotherhood with anybody who doesn't want brotherhood with me. I believe in treating people right, but I'm not going to waste my time trying to treat somebody right who doesn't know how to return the treatment. If you're not ready to die for it, put the word 'freedom' out of your vocabulary. You can't hate the roots of a tree and not hate the tree. You can't hate Africa and not hate yourself. If ballots won't work, bullets will. Power in defense of freedom is greater than power in behalf of tyranny and oppression, because power, real power, comes from our conviction which produces action, uncompromising action. I believe in a religion that believes in freedom. Any time I have to accept a religion that won't let me fight a battle for my people, I say to hell with that religion.